For variety, this week we’ll take a different look at the Goode Farm. 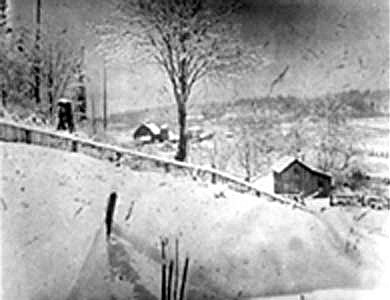 This photograph shows the farm, which was acquired from the Tibbetts before 1912, covered with a winter snowfall. Goode’s Corner was in the vicinity of where the present-day Newport Way intersects with State Route 900.